Occasionally, work surfaces will need to be cut to suit requirements, whether this is to allow space for a hob or sink or simply to cut to size. Our Megara black marble effect edging strip measures 1300mm x 44mm and features the same matt décor as the other products in our Megara black marble effect worktop range. 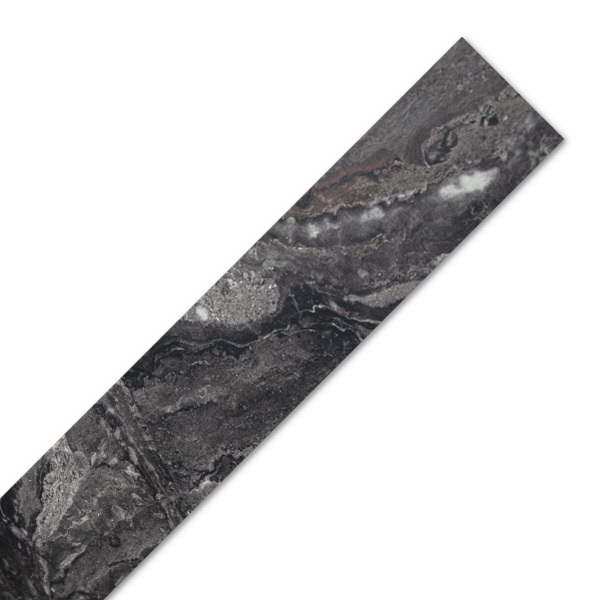 This black marble effect worktop edge trim can be applied directly to the worktop edge as needed, using PVA or a similar adhesive to fix it in place. It may need to be filed gently when the glue has dried to ensure the top edge sits flush with the work surface. Cutting to size is easy to do, so this edge trim can be used to refinish more than one side of a work surface.